Message of Hope For 2013 And BeyondLet Not Your Heart Be Troubled.....Stacey Lunsford - December 5, 2012 Hope Is On The Horizon! Trouble means to experience problems, difficulties, disturbances, distresses. Trouble means to be harrassed, annoyed, worried or upset. Are you experiencing problems, difficulties or disturbances? Do you feel annoyed, worried or upset about something or somebody? How can you apply those words to your life today? How can you apply those words to the troubles that you are facing today? When Jesus told the disciples, "LET NOT YOUR HEART BE TROUBLED".. Although Jesus didn't acknowledge what kind of troubles they were facing, Jesus knew that they were experiencing some kind of trouble in their lives and guess what? Jesus knows that you are experiencing some kind of trouble today and the same instructions that Jesus gave to the disciples are the same instructions that Jesus is giving to us today! If you are wondering why I am sharing all of these scriptures with you today....go with me to Romans 8:28 and I will tell you why....I believe that in spite of the troubles that you are facing or experiencing, I believe that whatever you are worrying about....Jesus knows and I know because I have been praying for you. Some of you, I see your hurt, I feel your pain and I know that some of you don't understand what is happening, for others this is a very confusing time and for others this is a sad time and for others this is a fearful time because you don't know what is going to happen...and that's okay....go to God in prayer...and in prayer ask God for spiritual wisdom, revelation knowledge and understanding in Jesus name and watch God work! While you are petitioning God in Jesus name please do two things...believe in what you are asking God to do and prepare your heart to receive God's answer to your petition...knowing that all things are working together for your GOOD!!!! God has three answers for us and they are yes, no and wait! Some of you are waiting on God to answers your prayers and because He is not moving as fast as you would like for Him to move...you are getting discouraged and others are starting to doubt God, and others are starting to move in your own strength...and I encourage you this evening to be still and know that God is God (Psalm 46:10) be still and trust God (Proverbs 3:5-6) be still and read Romans 8:28 and believe God's word...speak it out loud and know without a shadow of doubt...I'm talking be totally persuaded that...all things are working together for your good. Not because I said so *smile* but because God words says so and I believe God's word! What does that verse mean to you? 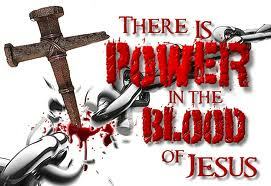 Do you think that Romans 8:28 relates to the troubles that you are facing? Do you thank that, the good times, the bad times, the happy times, the sad times, the fearful times, the doubtful times are working together for your good? All throughout the bible, we learn about the many different troubles that Moses, Abraham, Joshua, Elijah, the woman at the well, the woman caught in adultery...the man that sat by Bethesda pool...the widow woman that was preparing her last meal for her and her son...preparing to die...BUT GOD! Their circumstances were real! Their challenges were real! Their heart and pain were real! Their troubles were real....and at times they couldn't see a way out BUT GOD! John 14:1, Let not your heart be troubled: ye believe in God, believe also in me. Do not be anxious about anything...go to God in prayer, ask in Jesus name and believe that all things are working together for your good! If God did it for the disciples....surely He will do for you and I! I believe and I am excited about the changes that are taking place in your life even NOW!!!!!!! Father in Jesus name, I ask that You will activate the faith of everyone that takes the time to read this message...I am not asking for new faith...I am asking for the faith that You have already giving to them to be activated....as they read Your word....let Your word come alive, breath life upon them and return the joy of their salvation, let Your joy, be their strength...help their unbelief and teach them how to believe...and stay agreement with Your word...regardless of how they feel...because it is not about our feelings...it's about faith and believing that You will do what You said that You will do....ALL in YOUR perfect timing....thank You in advance for the miracles that are being released in this place NOW in Jesus name, amen! Let your moderation be known unto all men. The Lord is at hand. Be careful for nothing; but in every thing by prayer and supplication with thanksgiving let your requests be made known unto God. And the peace of God, which passeth all understanding, shall keep your hearts and mind in Christ Jesus. Let your gentleness be evident to all. The Lord is near. 6 Do not be anxious about anything, but in every situation, by prayer and petition, with thanksgiving, present your requests to God. 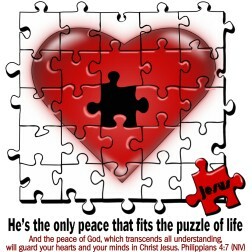 7 And the peace of God, which transcends all understanding, will guard your hearts and your minds in Christ Jesus. Let all men know and perceive and recognize your unselfishness (your considerateness, your forbearing spirit). The Lord is near [He is [a]coming soon]. Do not fret or have any anxiety about anything, but in every circumstance and in everything, by prayer and petition ([b]definite requests), with thanksgiving, continue to make your wants known to God. And God’s peace [shall be yours, that [c]tranquil state of a soul assured of its salvation through Christ, and so fearing nothing from God and being content with its earthly lot of whatever sort that is, that peace] which transcends all understanding shall [d]garrison and mount guard over your hearts and minds in Christ Jesus.